If there's one thing we don't have a shortage of in HumCo, it's festivals dedicated to fish (I'm counting bivalves as fish in this instance). No complaints, of course; fish is delicious and festivals are fun! 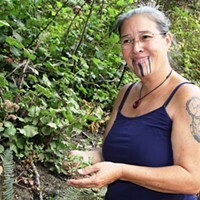 This weekend, Saturday, Aug. 17, is the 51st annual Yurok Tribe's Klamath Salmon Festival, and deliciously cooked salmon is only a fraction of what this festival has to offer. 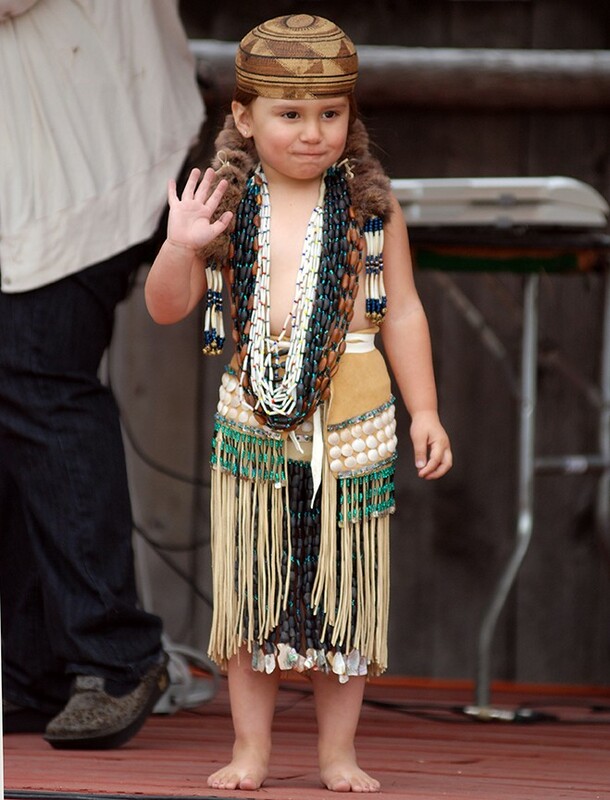 Koy-poh McQuillen participates in a cultural demonstration during the Yurok Tribe's 2012 Salmon Festival. The day kicks off with a veteran's breakfast at 8 a.m. at the Klamath Community Center, then a parade at 10 a.m., followed by the salmon barbecue at 11 a.m. The barbecue lunch is only $10 and includes locally caught Klamath salmon, Brio bread, salad from Ocean Air Farms and a side of fruit. 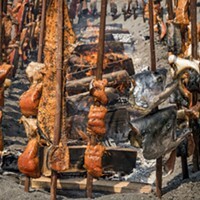 Yurok Tribe Director of Public Relations Matt Mais described the traditional salmon barbecuing process over the phone: The salmon is speared onto redwood sticks and the sticks are driven into the ground at an angle, with the salmon roasting over an open flame. "It's delicious," he says. It's probably safe to assume that's true. The rest of the day's events are more free-flowing. The barbecue keeps coming throughout the day, and so does the entertainment. There's a classic car show, a cribbage tournament, a traditional Indian card game tournament and a traditional stick game tournament. Mais said there was no way to compare the card game to any game people might already be familiar with. 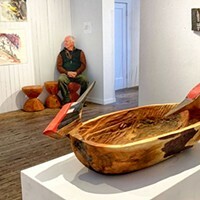 "It includes traditional drumming and singing, and takes about four hours to complete." The stick game tournament is a "combination of lacrosse and wrestling." This isn't like rugby-style, athletic scrambling, but actual wrestling, as in pinning another person to the ground via a series of strategic holds, but with lacrosse. All of these events are free, too. The only charge is for the salmon lunch. The Yurok Klamath Salmon Festival is more than just a good time; it's a chance to experience the rich cultures that are such a vital part of HumCo. Plus, delicious food. Head on over to yuroktribe.org for more information.